Google Cloud has rolled out a conveyor belt of customers leveraging new and emerging technologies as part of widespread plans to crack the enterprise. From cloud and security, to artificial intelligence and machine learning, the tech giant has showcased a multitude of different businesses leveraging Google Cloud Platform (GCP) in a bid to cement credibility at the top end of town. In financial services, HSBC, Allianz and PayPal are on-board, alongside Change Healthcare, Broad Institute and Roche in healthcare. Specific to media, key customers include the New York Times, Nielsen and Hearst, alongside digital players such as Spotify, Shazam and Vimeo. Across the retail sector, Kroger, Lush and Shopify leverage Google Cloud technologies, in addition to AirAsia, Airbus and LATAM Airlines in transportation. 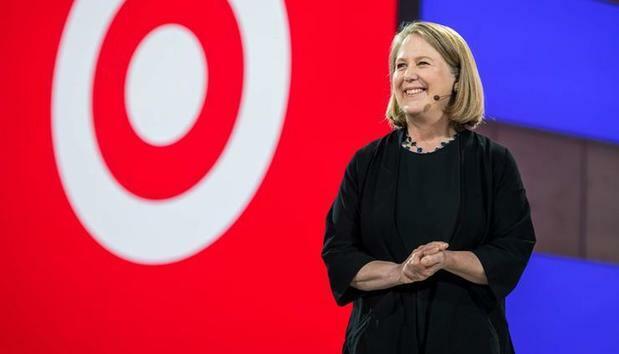 “We are an enterprise company, but a very modern enterprise company,” said Diane Greene, CEO of Google Cloud. “There's been 20 years of scaling and optimising Google's cloud. Unveiled during the opening day of Google Cloud Next ’18 - playing host to more than 20,000 customers and partners in San Francisco - Greene said the vendor is acting on plans to create big business credibility through new customers and emerging technologies. “Information is powering much of our economy, and the scope of technology has evolved to encompass all of business and all of society,” Greene explained. “IT departments used to be a cost centre. In assessing Google Cloud’s position in a market dominated by Amazon Web Services (AWS) and Microsoft Azure, Greene acknowledge that the vendor remains “clearly in the beginning stage”. Yet despite a late start to the game, plans are underway to differentiate GCP from rival platforms. “Google’s business is information, and thus Google Cloud was built to efficiently take in information, organise it, and give back intelligence,” Greene added. To achieve acceptance in the enterprise, Greene acknowledged that a “strong foundation” must be in place to answer ongoing concerns around security. In response, Google Cloud unveiled 20 new security advancements in March, with another 10 products and services expected during the conference. “Security is built into every layer of our operation,” Greene said. Specific to productivity apps, Greene advised organisations to combine a Chromebook, G Suite and two factor authentication hardware in the Chromebook USB port to strengthen internal defences. “Companies are catching on,” she added. And it’s playing out in the numbers, with Chromebooks for enterprise sales up more than 175 per cent last year, with G Suite adoption “also accelerating”. But while security remains the number one worry in the context of the cloud, Greene said AI stands tall as the number one opportunity. “Early on, Google’s founders had the vision that AI was going to be important,” Greene said. “Today, AI is built into everything we do at Google. Going forward, Greene said the onus is now on Google Cloud to make it easier for partners and customers to incorporate the power of AI into business operations. Likewise, open source will be a key differentiator in the race for cloud supremacy, with Google currently running more than 2,000 projects, including TensorFlow and Kubernetes. “We have been running the underlying technology and concepts that make up Kubernetes inside Google for over a decade,” Greene added. Two years ago, Greene recalled a meeting with industry analysts, who advised that it would take 10 years to become enterprise ready. “We called it our table stakes effort,” Greene said. Fast forward to today and the vendor has an expanding base of customers serviced by a growing ecosystem of channel partners. In fact, the Google Cloud channel is now over 12,000 strong. “We are increasing our enablement programs,” Greene added. “They help us extend our reach, and when these partners work with customers, we offer to support the work with one of our professional services engineers. On the strategic side, Google Cloud has formed industry alliances with SAP, Cisco and Salesforce to name but a few. Furthermore, system integrators including Accenture and Deloitte are building out practices specifically for Google Cloud, as are many other providers across the world. “Another important area is training and communities—training for customers, partners, and our own team,” Greene added.